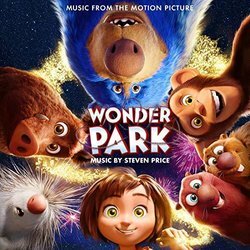 Sony Music today announced the release of Wonder Park (Original Motion Picture Soundtrack) with music by Oscar and BAFTA Award-winning composer Steven Price (Gravity, Baby Driver, Suicide Squad). Available everywhere March 8, the soundtrack features music from the Paramount Animation/Nickelodeon Movies film, which makes its theatrical debut March 15. Of the soundtrack, composer Steven Price says: 'Wonder Park is really a story about imagination. June and her mom spend countless hours imagining, designing and building models of an amazing park, complete with rides such as Fireworks Falls and the Skyflingers, all powered by the magical Clockwork Swings, the heart of the park. The park is their game, their shared project taking over their whole house and sometimes the whole neighbourhood, and, as the film progresses, we see June entering this world for real.